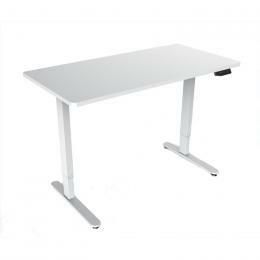 Height adjustable standing desks provide users with the ease of alternating between sitting and standing positions whenever they want – sit in the mornings and stand in the afternoons. With a push of a button, most standing desks can transform within seconds and you are in full control of how you want to work throughout the day. Feeling a bit bloated after lunch – and worried you will snooze away if you sit down? Simply transform your desk and boom! Stand after your meals and stay productive through the whole afternoon (while your stomach can recover :P). We often joke about the benefits, but using a standing desk on a daily basis can have some high impact health benefits that will improve your work lifestyle, and can help to reduce risks by fostering more movement throughout the day - this can help to counteract the normal sedentary office lifestyle. Standing desks have become an increasingly popular solution to counter the detrimental effects of sitting too much while gaining a healthier work lifestyle, and benefitting from a potential increase in work performance and productivity. 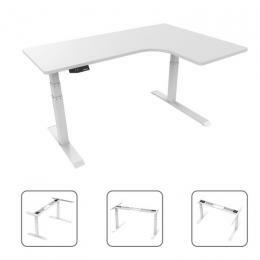 Height adjustable standing desks provide users with the ease of choosing the appropriate desk height no matter how tall or short you are, or whether you want to sit, stand or anything in-between. We’ll highlight some key benefits that you can gain by using a standing desk during your normal workday, so you can stay active and ready for anything! One of the most popular reasons for workers to get a standing desk is the benefit of lowering your risk of weight gain and obesity. Weight gain is ultimately caused by taking in more calories than you burn and while exercise is the most effective way to burn calories, simply choosing to stand instead of sitting during an afternoon of work can also be very beneficial. When compared to an afternoon of sedentary work, an equal amount of time-spent standing has been shown to burn over 170 additional calories. Over the course of a year, that’s about 30,000 calories burned, which according to Doctor John Buckley is equivalent to running about ten marathons in a single year - no intensive training required! Simply standing at your desk each afternoon can have a strong impact on staying in shape, especially when you may have limited time to exercise after work. It is widely accepted around the world that the more time you spend sitting, the greater your risk of developing heart diseases is. Adults who spend two or more hours per day sitting have an increased risk of health problems related to cardiovascular disease, including chest pain and heart attacks. A study in 1953 found that bus conductors who stood all day had half the risk of heart disease-related deaths compared to their colleagues in the driver's seats. Since then, scientists have developed a much greater understanding of the effects of sitting on heart health, with prolonged sedentary time thought to increase the risk of heart disease by up to 147%. Sitting can be so harmful that even an hour of intense exercise may not make up for the negative effects of an entire day spent sitting! There is no doubt that spending more time on your feet is essential for long-term heart health benefits. If you didn’t know already, after eating a meal your blood sugar levels take a spike upwards and can have negative effects to your health if you spend the whole afternoon sitting afterwards - this can dramatically increase your chance of getting type 2 diabetes. In a small study of 10 office workers, standing for 180 minutes after lunch reduced the blood sugar spike by 43% compared to sitting for the same amount of time. Both groups took the same amount of steps, indicating that the smaller spike was due to standing rather than additional physical movements around the office. The harmful effects of sitting after meals could help explain why excessive sedentary time is linked to a staggering 112% greater risk of type 2 diabetes. By using a height-adjustable standing desk, you can easily sit in the morning and stand in the afternoon after you have eaten lunch - countering the sharp rise in blood sugar levels and improving your long-term health. Back pain is one of the most common complaints of office workers who sit all day; however, it can easily be countered with a height-adjustable standing desk. The simple act of standing can also improve your core strength, leading to better overall posture. A small study had participants use standing desks for several weeks and they reported up to a 32% improvement in lower back pain after several weeks. Another study published by the CDC found that the use of a height adjustable desk reduced upper back and neck pain by 54% after just 4 weeks. Additionally, removal of the sit-stand desks reversed some of those improvements within a 2-week period. The use of standing desks in the research above have revealed some compelling benefits to improving back and neck pain - save your time and money trying to find other back pain solutions. 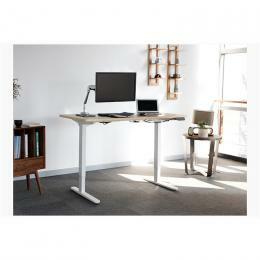 Standing desks appear to have a positive influence on overall well-being. It sounds like a bold claim, but research has shown that there are links between sedentary time and an increased risk of both depression and anxiety. In one 7-week study, participants using standing desks reported less stress and fatigues than those who remained seated the entire workday. Additionally, 87% of those using standing desks reported increased vigour and energy throughout the day – and upon returning to their old desks, overall moods reverted to their original levels. If you work in a job that requires you to be constantly interacting with other people, then a standing desk can help keep you productive, bubbly and fresh throughout the whole day. 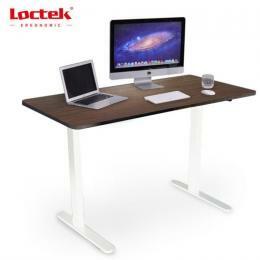 Loctek is a top manufacturer that focuses on delivering ergonomic work solutions such as height adjustable desks, monitor mounts, standing workstations and much more. Loctek is globally recognised for its innovative and creative designs that not only deliver effective work solutions but also are high quality and built to last. PB stocks a large range of Loctek height adjustable standing desks that come in a range of sizes, so you can easily find the best one for your working environment. 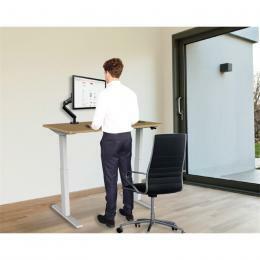 These standing desks help to improve blood circulation, relieve neck or back pain, help burn calories, prevent cardiovascular disease and support better posture. 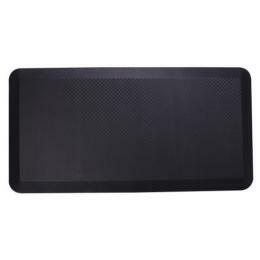 A favourite pick from our PB specialist is the Loctek ET102 that comes in heaps of designs including an oak or pure white finish and is large enough to easily fit all your peripherals and work documents on. A dual motor system provides smooth, quiet height adjustments, so you can easily sit or stand whenever you want during the day. 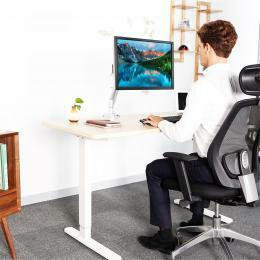 Promoting a more active lifestyle at work, home or in the office is always a plus – and the ability to easily switch between sitting or standing makes these desks fine-tuned for every working style. 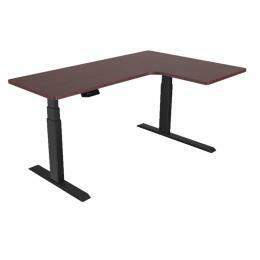 Picking up a few of these for an office or school will be a great investment - employees can universally adjust the height of the desk to make it the perfect level for them (great for hot-desking or when moving from one classroom to another). Apple CEO Tim Cook recently disclosed an interesting detail about Apple Park, the company’s new headquarters: Everyone gets a standing desk. “It’s much better for your lifestyle,” Cook said in a recent interview. “We have given all of our employees, 100%, standing desks. We have a lot of people using the Apple Watch at Apple, and 10 minutes before the hour, suddenly they all get up and move. It took a little to get used to, but it’s great,” he said – as reported by Business Insider. Tim Cook isn’t the only celebrity that supports standing desks. Oscar-winning editor Walter Murch, known for working on films such as The Godfather and Apocalypse Now, uses one while he edits films. Wow, we have learnt so much about all the amazing benefits you can gain by using a standing desk! Head on down to your local PB or click here to start shopping Loctek height adjustable solutions now - revolutionise your work lifestyle today!